Take your time to visit Ligna from May 27th to 31st! Contact us for Ligna entrance tickets. 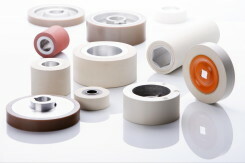 Till the middle of September we prepared for you special prices for renewal of rubber rollers! Do your rollers look like this? Now is the time to seize the opportunity and send them for renewal! Contact us for your special offer NOW! 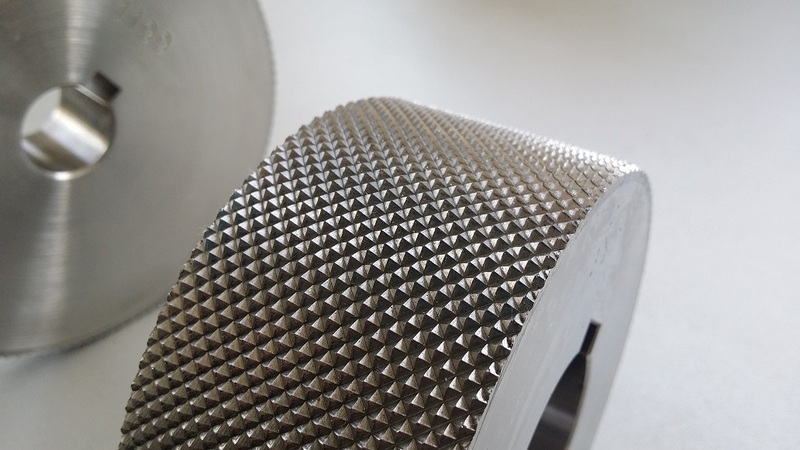 Now you can also get steel rollers with knurled profile. Small teeth means less damage on the wood. A lot of teeth – a lot of grip. Big or small we do it ! Do you have some questions ??? Now you see, it makes sense to replace the old rollers before they are totaly worn out! 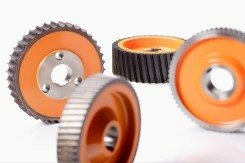 If you have a question about steel or rubber rollers, contact us. We are always happy to help. Hurry up, summer holiday is near ! Our production will be on summer holiday from 18.7. till 2.8.2015. 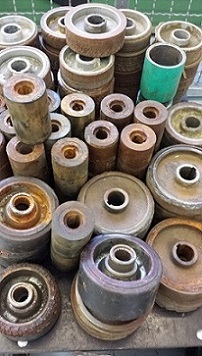 There is still just enough time to send us your old rollers and cylinders for renewal. 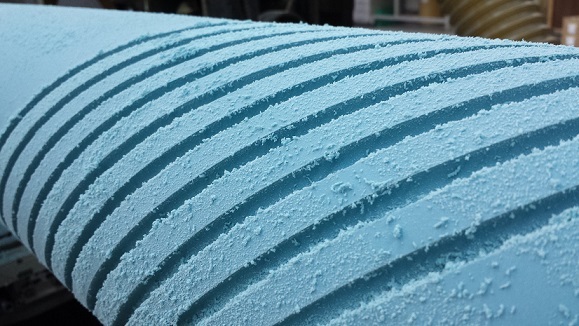 If you hurry up, the renewed rollers could be finished before our production summer holiday. Hurry up and contact us to make a production reservation! 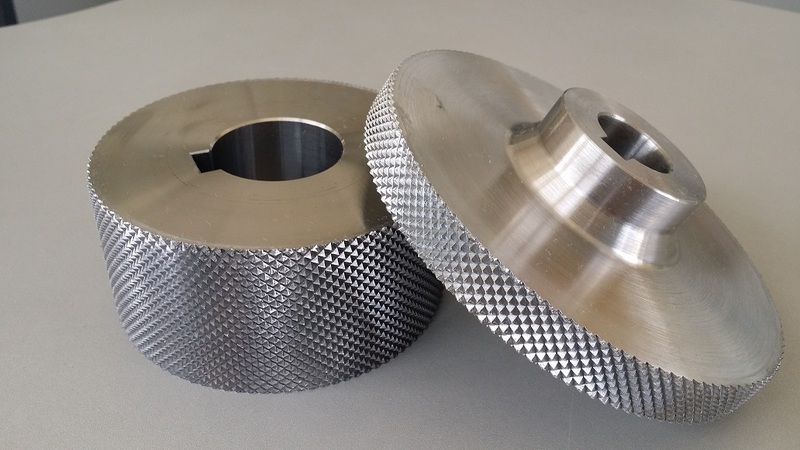 – Send us an e-mail with the dimensions of your rollers or cylinder and we will prepare an offer specially for you. – We can also arrange a pick up of the package, so you don’t have to worry about the transport. – You will see, working with us is easy and pleasant. During the production vacation, our sales department works as usual. There is always someone who will answer your questions and inquiries. This way you are always able to get all the information you need. 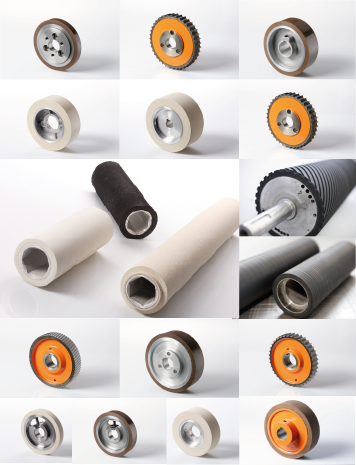 Most of our standard rollers are on stock and you will be able to get them also during the summer holiday. This year, we are very busy and have already started the spring cleaning. For our new products we need space and therefore we decided to clean up our warehouse. 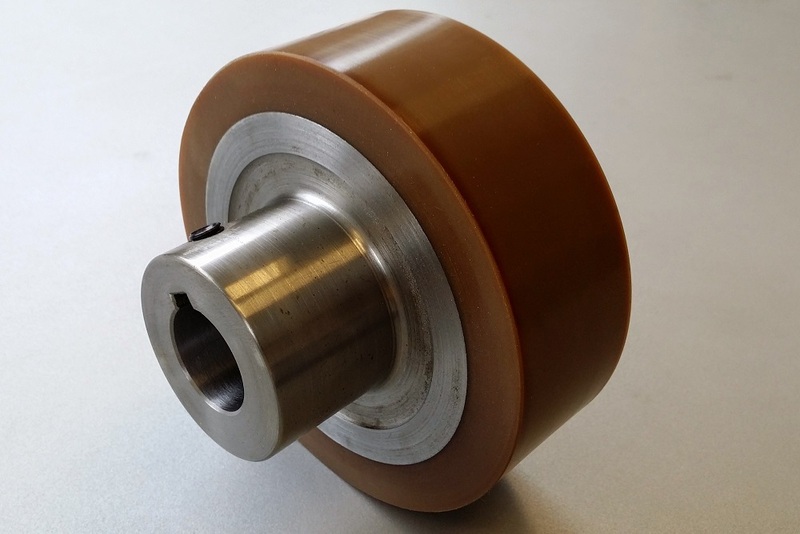 for new 140-50-35-10 V Weinig rollers. 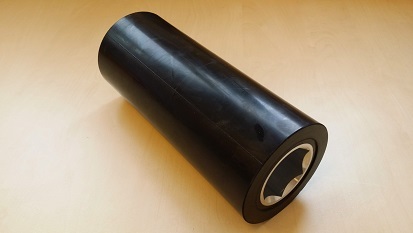 Rollers with this rubber have a good grip, a great abrasion resistance and an excellent overall quality. The price is valid till 30.4.2015 or as long as the stock lasts. 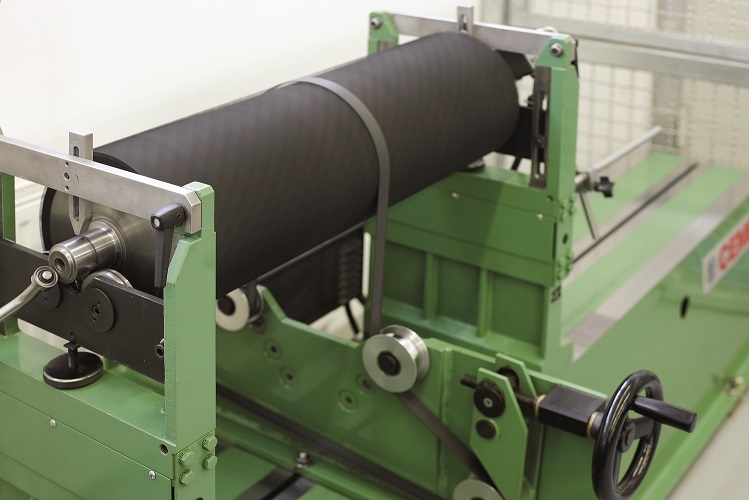 Elastomeri will present itself on the LIGNA 2015 fair in Hannover. On the fair we will present our standard products and the special productions which we produce for our customers. The visitors will learn a lot about our company, our products, production and the different kinds of rubber that we use. Take a day off and visit us on our stand. Write us for free tickets!!! The number of free tickets is limited so act fast! 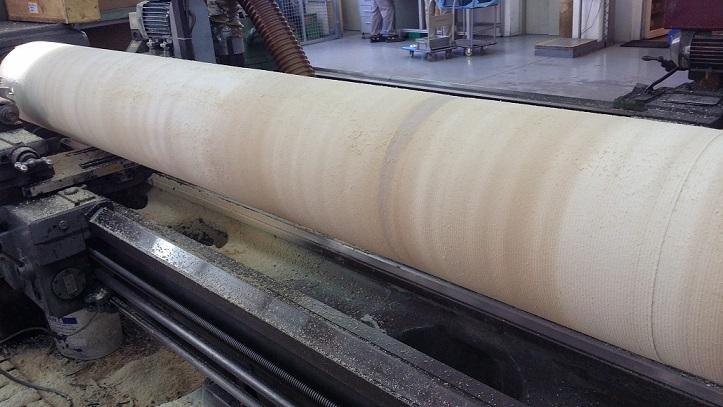 Do you have a thickness planer ? We have the rollers for you ! 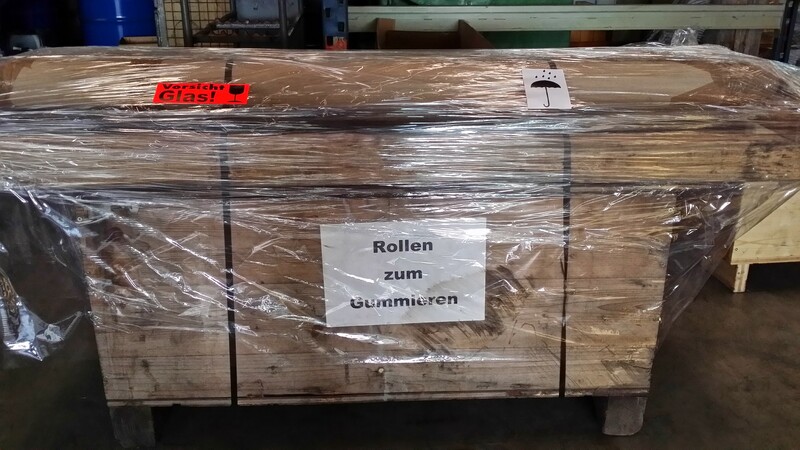 There are different machine producers of thickness planers on the market: SAC, Martin, Panhans, Hofmann… we have the rollers for all of them! 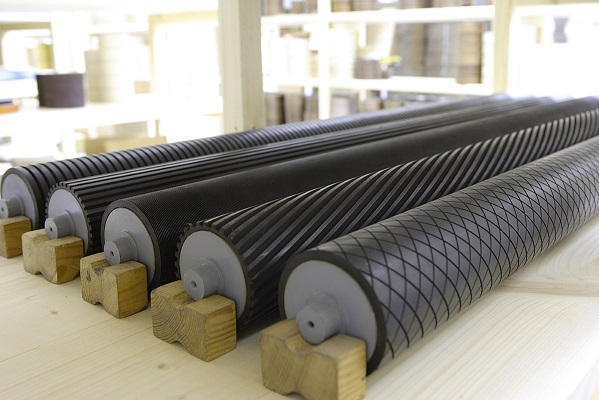 Martin rollers in three different rubber hardnesses. Old machines also do their job, so don’t ignore them, they deserve your attention. when you need them the most!!! quality and break down because of the stress. 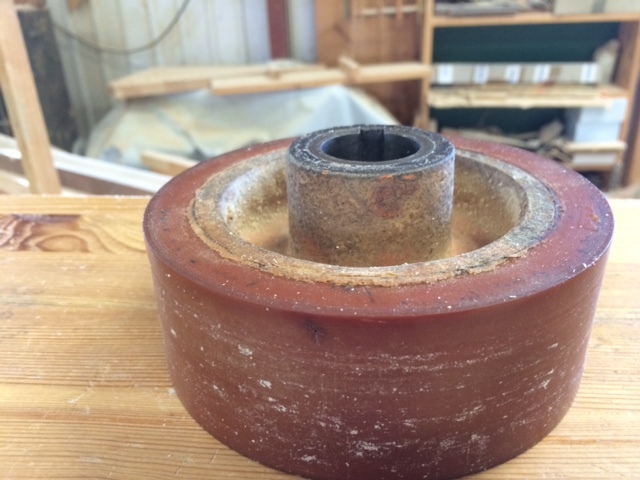 Such broken rollers reduce your productivity and stress the machine. 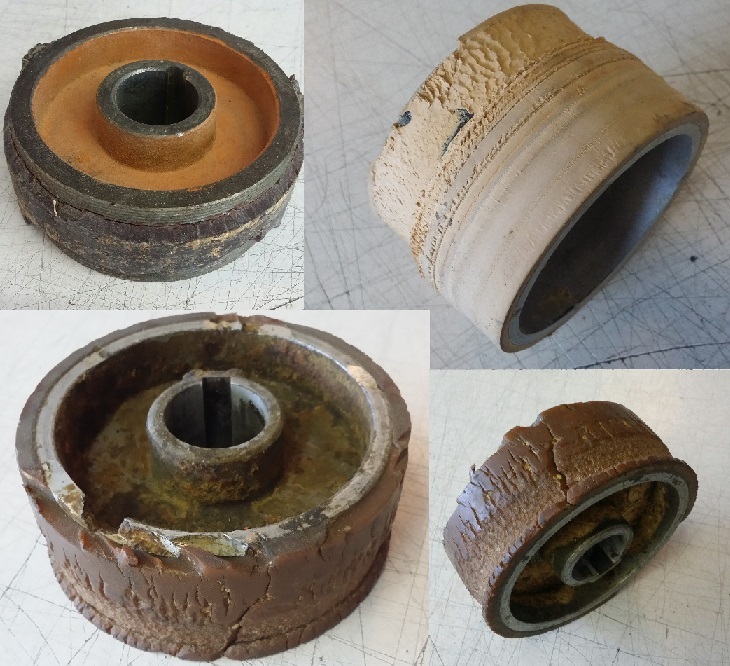 Because of worn rollers, failures can occur in the machine and the machine stops working. Old, hardened and worn out. 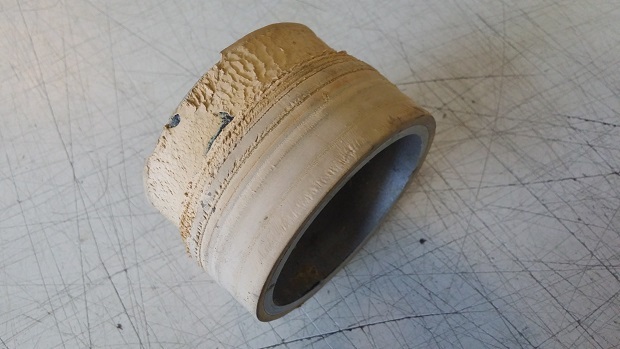 Don’t let a small worn out roller stop your production! 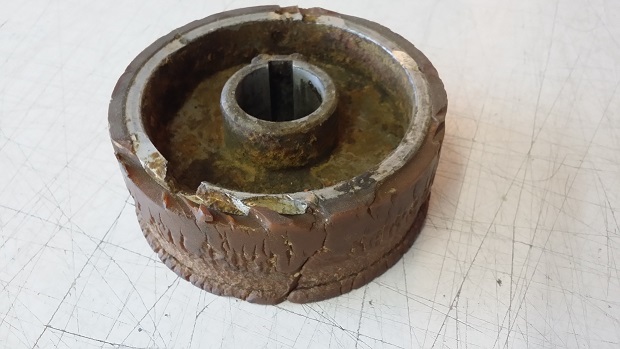 Replace your old rollers before it’s too late. 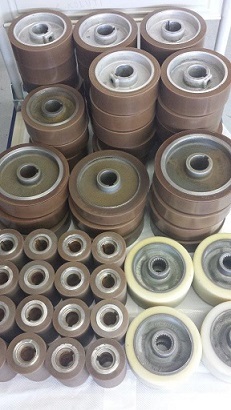 Old machines also deserve new rollers ! Do you have a very old machine? You can’t find new rollers for it? Don’t lose your hope! We have the solution !!! Do you need a non-standard roller? Roller made ? ?according to customer specifications. We make everything, from big to small. No matter if big or small it has to be perfect. 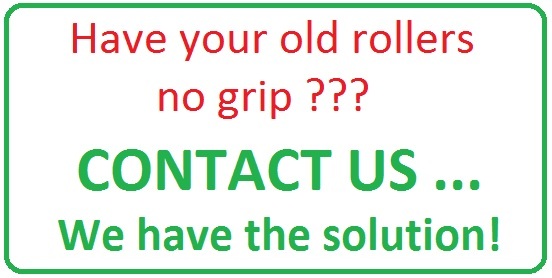 We can also renew your old rollers. 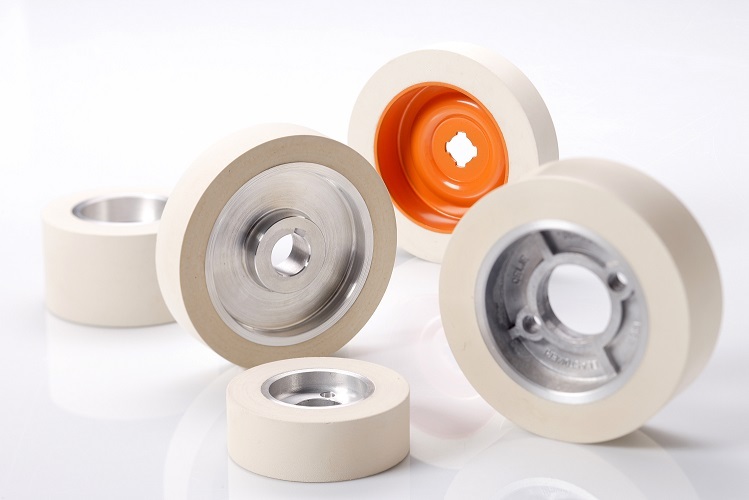 Old rollers – rollers with new rubber. Special production? No problem ! 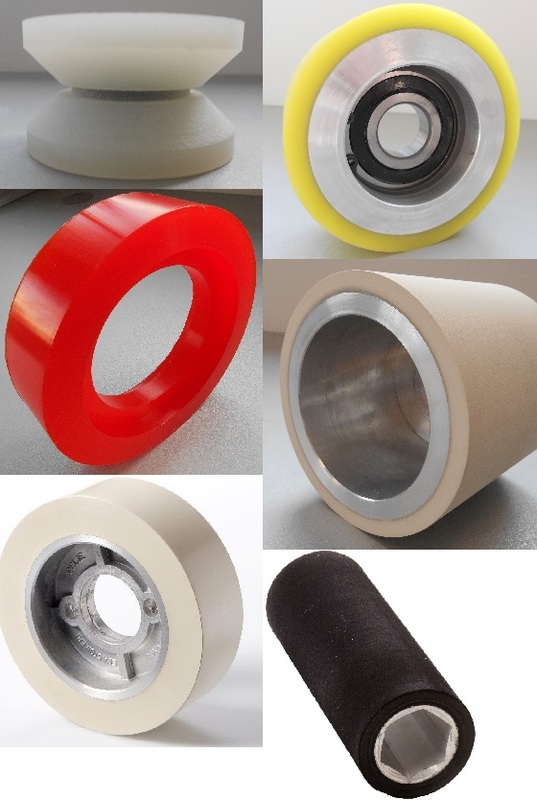 Do you need a roller that is different from the standard rollers? Draw a sketch of the roller needed. A sketch is worth a 1000 words. 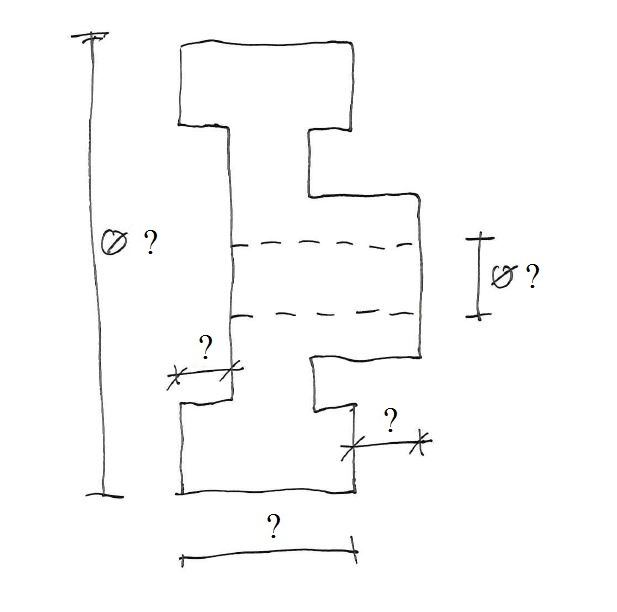 We prepare a drawing after your sketch. 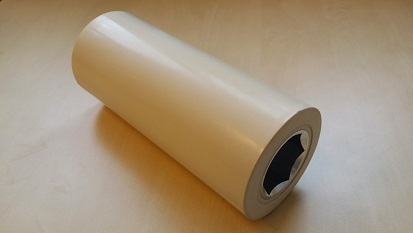 Something that is not a roller needs to be rubberized? Also no problem! Do you still have some questions? 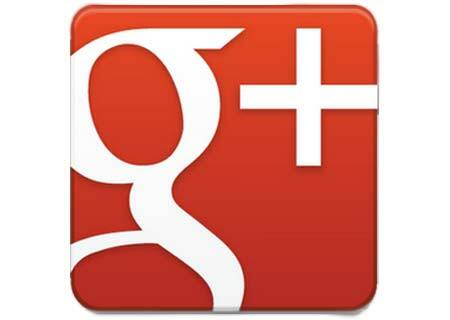 Write us an e-mail or call us! Your machine will be thankful ! and all kinds of other rubber cylinders. 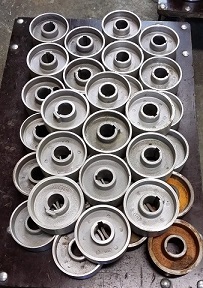 If your old cylinders are worn out, if the rubber is too hard, if they are not in balance any more …. …then it is time to send the cylinder on a “Spa-treatment” to us! 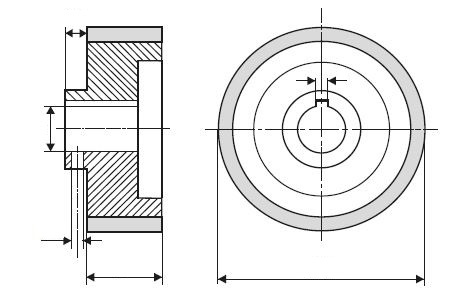 Different groove patterns for different use The cylinders can be dynamically balancedThe cylinder is brought up to a specific rotation speed and measured. That’s how we test if the cylinder is in balance. If you want to succeed, you have to show your teeth! For you, only the sharpest! Not every tooth is made to bite. 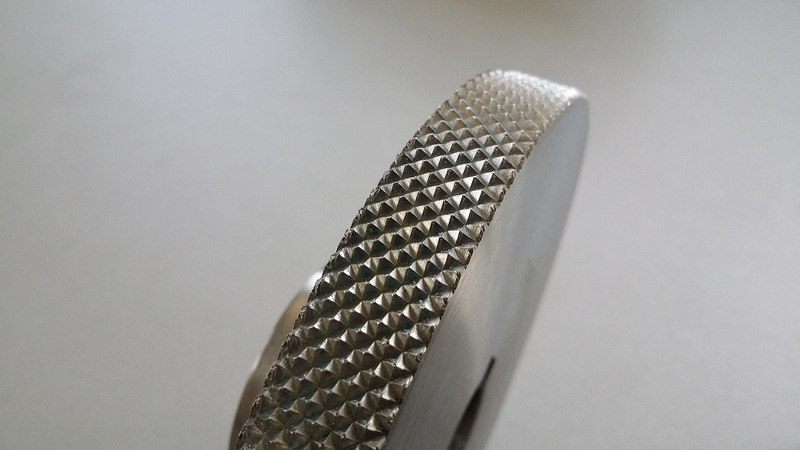 You should think about which teeth are the best for your woodworking business. … different tooth profiles for different types of wood. Some teeth are better for soft wood, some for hard wood. Now you can choose from 7 different teeth shapes. You can get all teeth shapes in helix or straight. 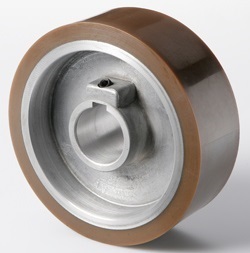 All our steel rollers are made of hardened steel! The result are a great indurance and very sharp teeth. 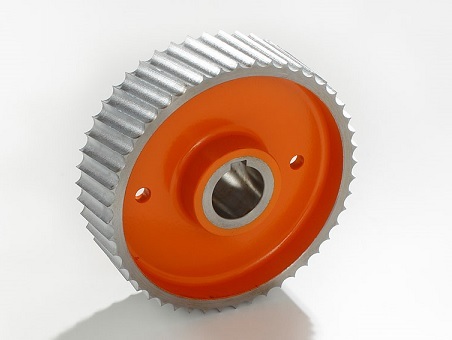 we produce chrome-plated steel rollers. 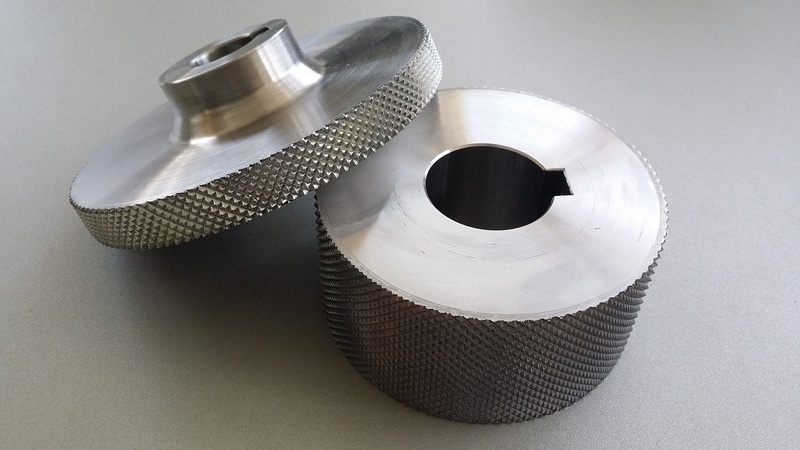 Sometimes the only solution is to buy new steel rollers to replace the blunt ones, but if the rollers are not too worn out, we can also sharpen them. 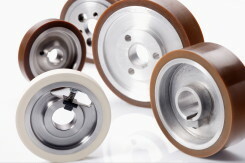 We have a wide selection of standard rollers, but we also make special productions according to your drawings or samples. Contact us and together we will find the best solution for you. show your teeth to the competition !!! My old rollers have no grip! Why??? With time every rubber becomes hard. Why? 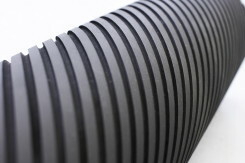 Every rubber compound losses its elasticity over the time. This is because of the outside effects (UV light, temperature, pressure…). It is similar with car tires. Surely you have experience with the difference of driving on old tires and driving on new ones. 2. The rollers are worn out. 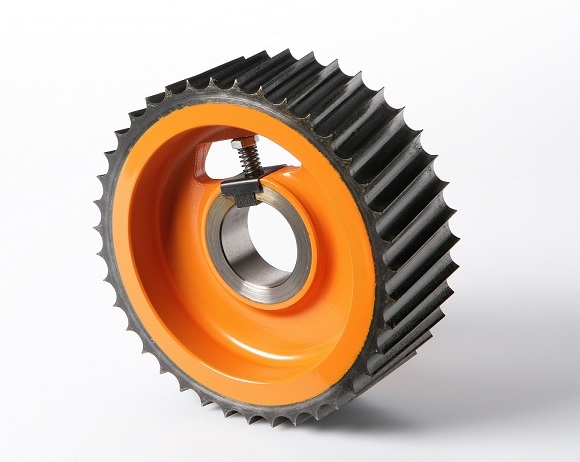 During the use in the machine rollers are worn out, the rubber wears of, becomes harder, losses its elasticity and grip. 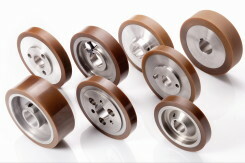 It is time to buy new rollers or renew your old ones. This can not work, don’t you think? 3. Wrong rubber compound for your specific use. Different rubber compounds have different properties. 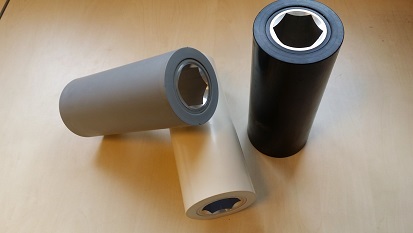 For almost every use there is a special rubber compound. 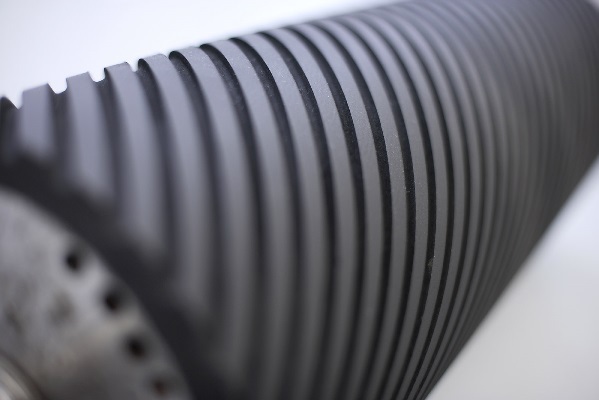 It is very important to choose the right rubber compound and hardness for your specific use. 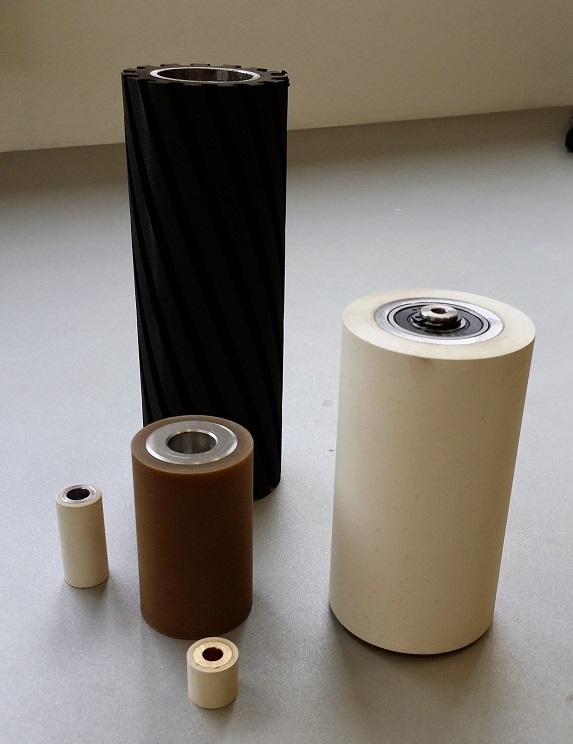 If the quality of rubber on the rollers is bad, the rubber will wear out faster and it will lose its elasticity and grip faster. Therefore it is economical to choose better quality. You can use the rollers longer and therefore save money. In our company you get an excellent quality and a great customer service. We make sure that you always get the best for your money. The 2014 World Cup has begun ! ! ! The 2014 World Cup has already begun and we all keep our fingers crossed for our favorite teams. Are you nervous and stressed out when watching the game? 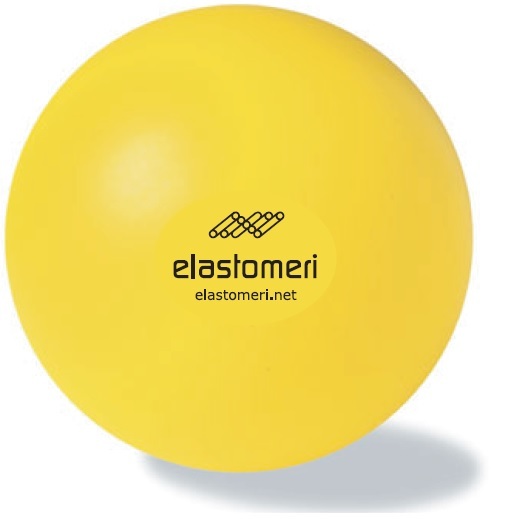 During the World Cup 2014, we will give away a stress ball, with every delivery, for free. This way you will do business and cheer for your team relaxed and unstressed. Good rubber – better grip – excellent work. Attention ! ! ! 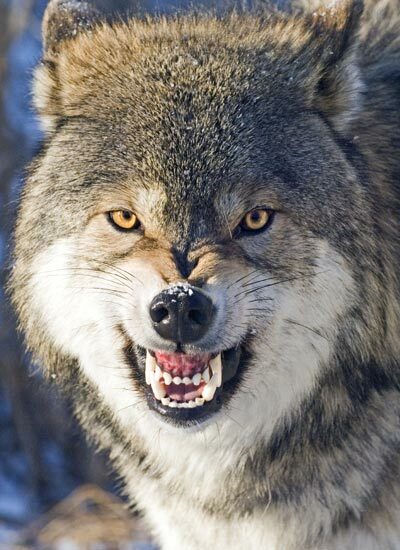 Sharp teeth ! ! ! How to order the rollers ??? In our company, all the employees speak english and german, so the communication is easier for you. What about the QUALITY ??? The rubber compound that we use is a German product, so the quality is not a question! The quality of the products and the satisfaction of the clients are very important for us. 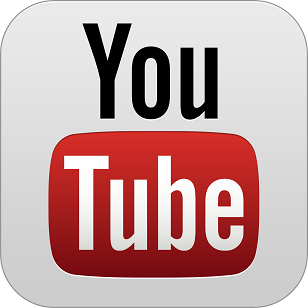 Therefore is the rubber compound always chosen carefully for each specific purpose of use. Can I order 3 rollers only ??? 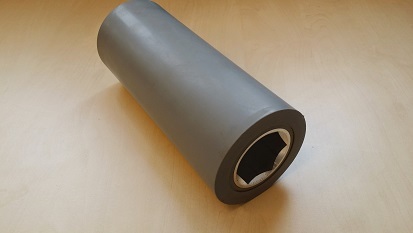 You can also order 1 roller if you need. We have no minimum quantity policy. Which data do you need, to send an offer ??? A Photo is very helpful. 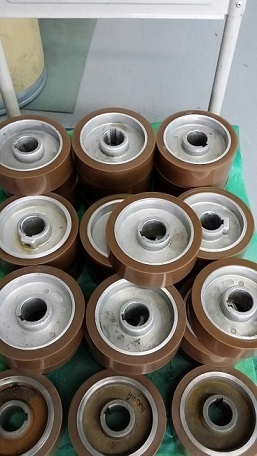 Can you make a new rubber coating on my old rollers ??? 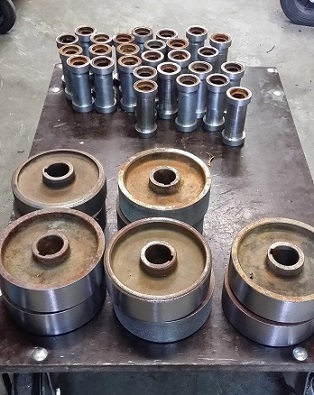 Old rollers can be restored. 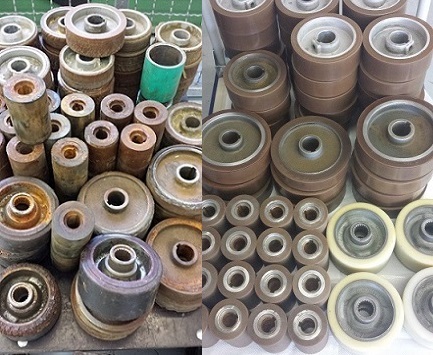 Old rollers are sent to us and we replace the old rubber with new one. 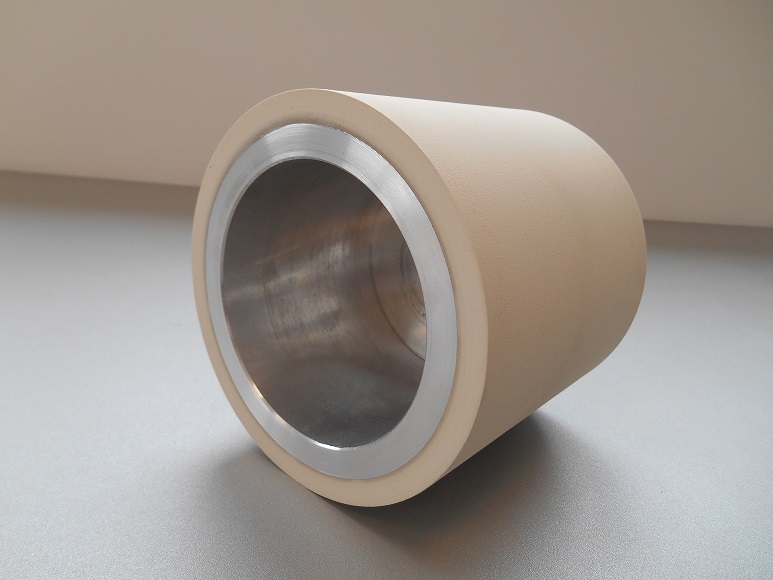 The customers can choose if they would like to have the same rubber hardness as on the original or different. 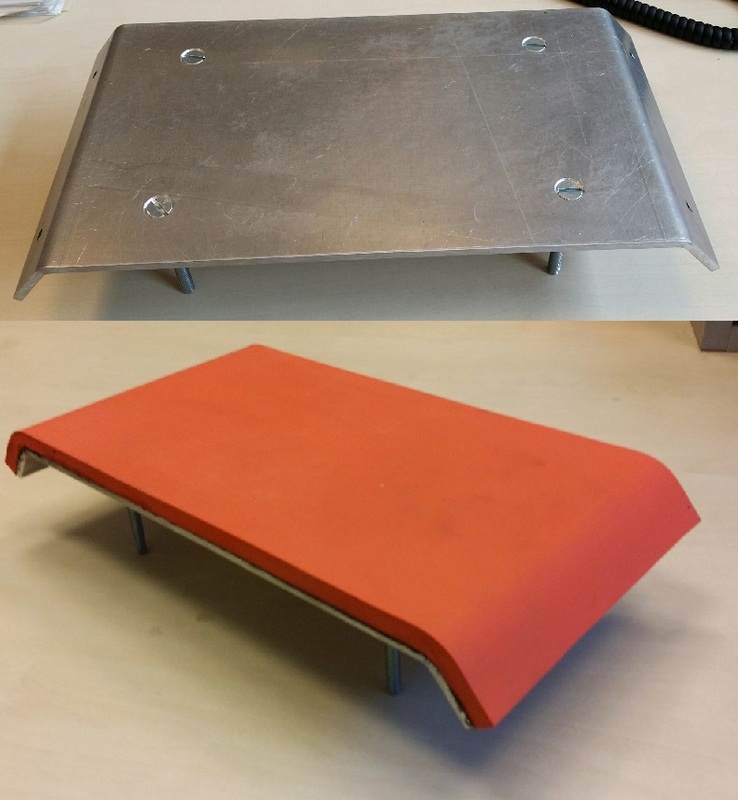 We have a lot of different rubber compounds, with different hardnesses and qualities, to choose from, on stock. Based on our long years of experiences, we can help you to decide, what would be the best rubber compound for your specific use. And the rollers are as good as new or even better.